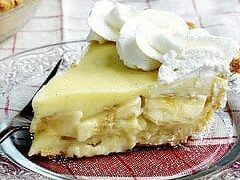 This Kay’s Baked Key Lime Pie Recipe contains not only sweetened condensed milk and key limes, but also egg yolks and whipped egg whites. This means two things. First, It must be baked. Second, the pie will be lighter in texture. 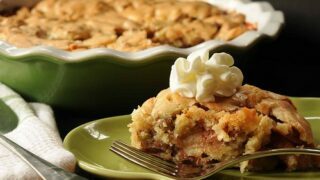 Allow time for pie to chill. My sister Kay was just here from Alabama for a brief visit. She’s a good southern cook, so I’m always keen for her recipes. This time I coerced her into making her Key Lime Pie while I took pictures. Which way does the lime (or lemon) go in a metal juicer? Which way should the lime go? So without telling you which way each of us does it, will you tell me how YOU do it? We have something important riding on this, so puh-lease say it’s my way. I am generally an early-adopter. But on this one, looks like I’m a little late learning how to squeeze a lime correctly. Thanks for straightening me out, Sis. Garnishing with lime rind puts your mind in the mood for lime flavor even though the pie is yellow. Thanks to my sister Kay for sharing this recipe. 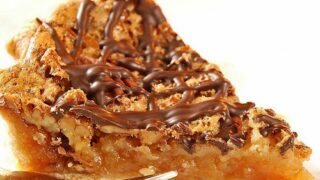 The graham cracker crust comes from Helen Corbitt’s Cookbook. A baked dessert made with sweetened condensed milk and key limes. Crush crackers using food processor or blender. Add sugar and melted butter. Pulse until mixed. 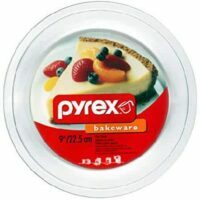 Press into 9-inch pie shell. Bake at 300 degrees for 8 minutes. Beat 3 egg whites in a small bowl until stiff. Set aside. 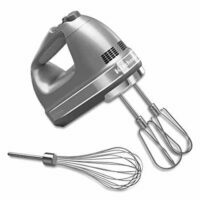 You can use the same beaters to beat 4 egg yolks and 1 egg white in a separate medium-sized bowl until thick and light-colored. Add milk to egg yolks and mix well. Add juice and continue to beat until thick. 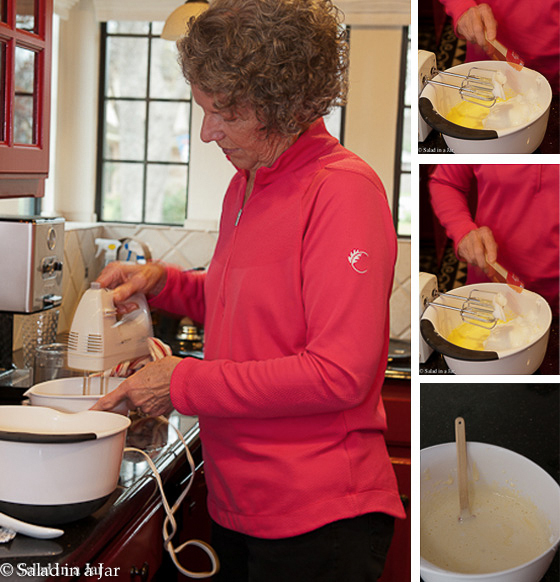 Add beaten egg whites to egg-yolk mixture and mix gently just until evenly distributed. Don't over mix. Stop when there are no more obvious lumps of egg whites. Carefully pour into baked pie shell. When cooled, refrigerate for 2-3 hours. 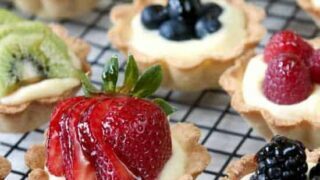 Garnish with whipped cream when serving. I adore cooking, but detest cleaning up, so the less mess I make the better. I clean as I cook so that by the time it’s in the oven or on the stove the kitchen looks like I just started. If I don’t do it that way, I get depressed. That’s why I try to get cooking in as early in the day as possible. By 6PM, I’m ready to call it quits, so everything gets set up and cleaned up before then. I specialize in methods and recipes that require very little kitchen disruption. I vote for cut-side down because if you do it the other way it blocks the holes which are there for a reason-to let the juice drain out. Sometimes, depending on the size of the fruit, I will do it one way, flip it and do it again the other way just to get more juice. I even quarter grapefruit and squeeze it rather than drag out my electric juicer which would make me have an entire machine to wash.
As for the lime, I’ve always done it with the face up like on the right but on food network I’ve always seen them place them face down like on the left. I agree with the lime facing down, picture on the left. Mine works really well and leaves the lime turned inside out. Strangely enough, it doesn’t work on lemons or tangerines even though they are the same size. Picture on the left (lime facing DOWN). BTW love your site! So funny! I’ve had this same conversation with my husband about a year ago. I conceded that he was right, the lime half needed to be facing downwards when you squeeze it That way the juice goes directly out the holes more easily, hopefully giving you more juice. I was doing it face up and squeezing and the unfortunate side affect is that the lime now sticks (suctions?) to the squeezer making it a touch more difficult to remove. I love my squeezer so much, I bought them for all my sisters! One decided she hated it and gave it to my neice. She went back to a reamer (!!! )- which I think it just crazy. It’s funny people can be so passionate about squeezing citrus, though it is pretty much the best stuff on Earth! Lovely looking pie, and I vote for the lime cut side up. Great looking pie! Weighing in on the juicing issue, I vote for cut side down. Key lime pie is the best of all things. It’s the only dessert I cannot resist. Thank you both for this delicious looking recipe. I wish we could get key limes over here. The picture on the left is correct for a key lime. Because the key lime is so small it is inverted when squeezed so you can get most of the juice out; however, for a regular size lime the picture on the right is correct. You turn the juicer sideways and the juice comes out the side instead of the holes. 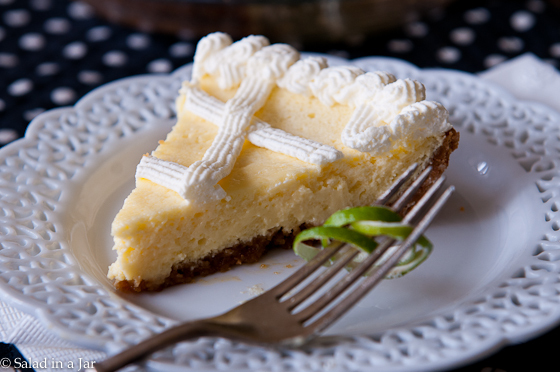 The lime pie looks fantastic, I love lime/lemon desserts! However way you squeezed the limes, it worked! 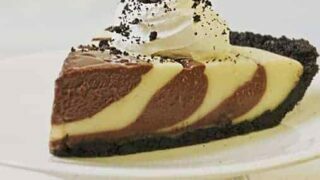 This pie looks wonderful. By the way, I squeeze my limes, lemons and oranges with the peel side facing me. Bonnie, Good point about the squirts. 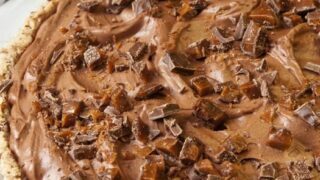 Absolutely one of my favorite desserts if chocolate is not available. Will have to try this! Thanks Kay! And I vote for the picture on the left. Great photos. I love the idea of using powdered sugar with the graham crackers. I vote for cut side up, as pictured on the right. Hello Paula, I love sister time, I never get quite enough! I would put the lime half upside down but I can see the reasoning with the other way too! The pie looks fabulous, I would be nibbling on it all day and it would never last till tomorrow! I vote for the cut side down. I vote for the one on the left. 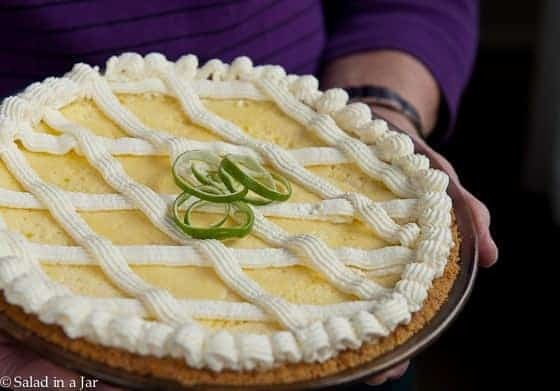 I’ve actually never had Key Lime pie, but this looks amazing. I’m going to have to try it out. Correct answer is the one on the left. That is what the directions with mine said, and what the site said, when I looked it up. It sort of turns the fruit inside out and gets the most juice out. I deem it true, also, because I have tried it each way. Without thinking about I’d probably use the way on the right, but now that you show the picture I’m thinking the one on the left just might give out more juice. Either way, I’d sure like a piece of that pie!! Without thinking, I would do it like the photo on the right simply because the lime mimics the shape of the metal squeezy thing. Either way, that is an amazing looking pie! Mmmm, key lime! I would do it like the picture on the right. (Doesn’t mean that’s the correct way. A chef told me once that with key limes, since they are so small, you just cut it about 2/3 of the way, so there is more to juice in one half of it. If you cut a key lime right in half, you’re not getting much juice out of either one. Make sense? I always put my lime half with the cut side facing down. The pie looks great – wish I could have a slice! According to all the food network chefs that use these, the lime peel is facing up with the cut side facing down. The cut part of the lime should face down, like the picture on the left. The way on the left is correct.